Recipe for Fitness: Saturday Fun! Once back home, I cooked up some oatmeal pancakes with my blueberry syrup. Someone might have gotten a little heavy handed with the blueberries... I'm not saying, I'm just sayin'. Super filling :-) Then, seeing as how it was already past noon (2 hours in the gym will make a morning disappear), Bill and I hit the pool and chilled for a couple hours (with a quick snack break for me - 3 oz chicken breast and an apple). And then it was Time. The Time I'd been looking forward to all week. Recipe Experimenting!!! I got out my new Babycakes donut maker, and my mini muffin pan and went to work. Half of each batch was cooked on the donut maker, the other half in the oven... just to see if there was a difference. I made three different recipes, with two different frostings. Bill couldn't get the word donut out of his head, and just kept saying, "these don't taste like donuts". Really? Ya think? I told him, "These are not dunkin, darlin'. Quit thinking donut, and just tell me how they taste." "They taste like they're not donuts." Argh. Men. Which takes me to my next subject... very soon I will be offering an e-book of my recipes and meal plans for download. Finally! I'll have several to choose from... one geared toward my Sunday Food Prep with meal plans and grocery lists, along with the recipes; another for entertaining - recipes & menus; another for competition diet; and so on. Now that I have a computer at home again, I can get to work putting these together. Each will have all the nutritional data for the recipes, too. I'm hoping to have these up and available within the next two weeks. Can't wait to see the new recipes! That's so funny about your husband and the "They taste like they're not donuts!" Hi Chelle, I LUV reading all your posts, comments, threads. THank you for everything! It encourages me to do and be a better person. My Saturday was good, my daughter Miranda tuned 19yrs old. WOW can you believe how quick the kids grow. Hi Chelle, I tried making some of your "ice cream" in my cuisinart ice cream maker, but it jammed up on me. Do you have the same problem? What do you do to keep it from doing that? And I can't wait to see your new recipes and book!! Morning Chelle.....Inkgodess :) I never post a comment or say much, but since I'm on your blog like everyday now, I think I should at least say thank you! Thank you for the awesome workout music lists! I love the same style... :) Thank you for the recipes, ideas and all of the sharing that you do. 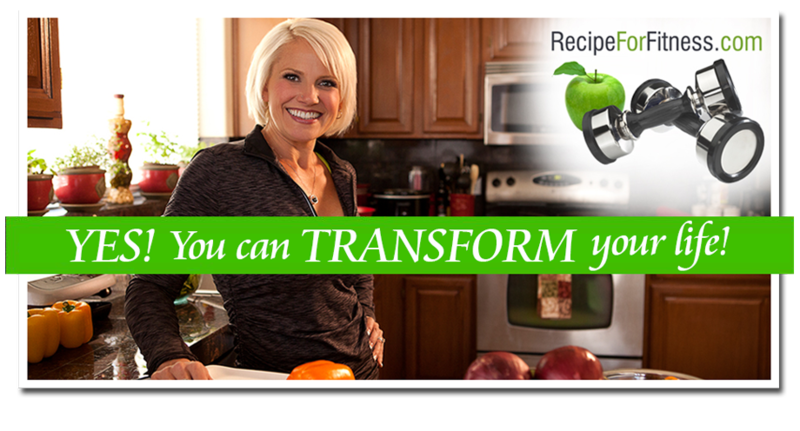 I can't wait for your ebooks of recipes! What an awesome thing to share! Keep up the great work on getting competition ready! I'm here in NY cheering for you!!! KarateNurse...Lol! Men, right? :-) He did finally admit he likes the zucchini muffins! Score! Keriw... LOL!! Thank you so much! :-D Keep up that cheering! I'm counting down!